What a great summer we’ve had. Most of the time has been spent in Burgundy, our only problem has been the lack of time to explore everything on the list we made. I really enjoy Burgundy, however when visiting we all tend to privilege the vine yards and better known monutments. And when doing so, we forget lesser known places such as the Morvan. The Morvan is a very wonderful place to visit, full of legends and contrasts, there is even a town called Avallon. The granite and limestone hills climb over 900 metres above sea level, there are very large forests with a mixture of pine and oak. With lakes and streams everywhere, swimming in the fresh water is a must. We have included some photos of the market town Autun. Today is almost a typical working day for Rémi. 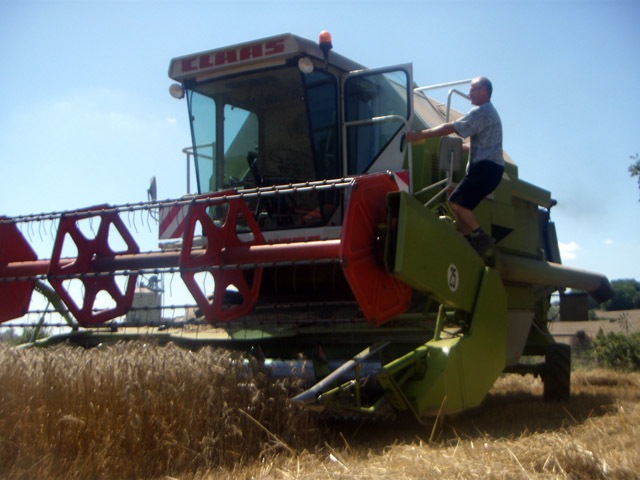 After days of bad weather and waiting the wheat harvest can now begin. 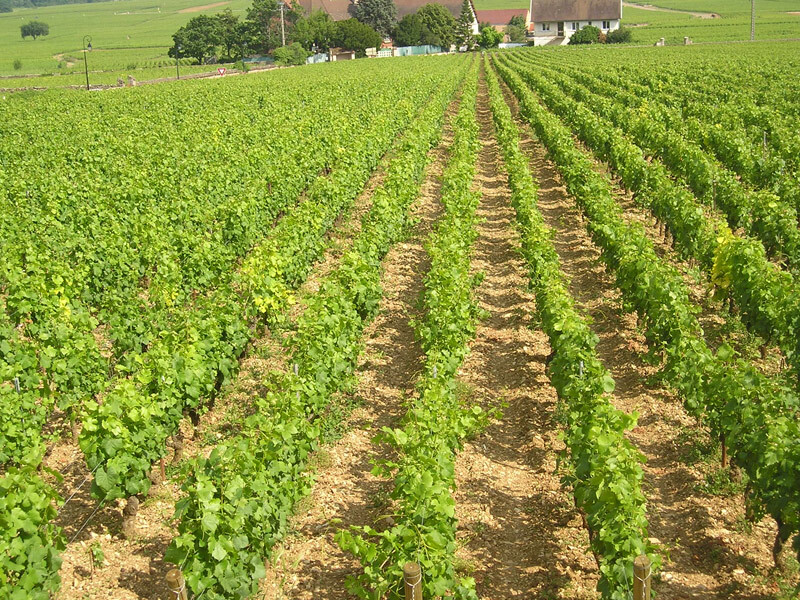 The wines of Burgundy are very well known and appreciated throughout the world. The next time you are in the Beaune, Nuits Saint Georges or Dijon, take the opportunity to discover all secrets which are in a real bottle of wine. I would recommend the talent and enthusiasm of Mr Max Renau. He offers a unique insight and voyage through the Côte d’Or vineyards, sharing everything he knows with you. Max took us on a tour at the beginning of June this year. Meeting us at our hotel in Dijon, with a warm greeting we climbed aboard the mini-bus and Max took us on an incredible voyage in to the heart of the Burgundian wine culture. With a charming French accent, we were guided out of Dijon to encounter the first vineyards at Marsannay and soon arrived at the impressive Clos de Vougeot, home to La Confrérie des Chevaliers du Tastevin. As Max explained the dates and story of the Abbey we began to understand the historical importance of the magnificent construction. Max then guided us to the frontier between the Côte de Nuits and Côte de Beaune in the domain of Clos des Langres. A mansion house built in the middle of a walled vineyard. We drove through the charming village of Aloxe Corton and up to the famous Corton-Charlemagne Grand Cru and then down to the red Pinot Noir Pernand Vergelesses. In the middle of the fields, Max explained the finest details about growing grapes and all the different stages throughout the year which are necessary to produce a wine harvest. Our guide and now friend then drives us a few miles south of Beaune, through Pommard to the quiet village of Volany. He had promised us the most delicious Coq-au-vin (Chicken in red wine sauce). After the glasses of wine we had already tasted, stomachs were ready to savor some traditional French cuisine. 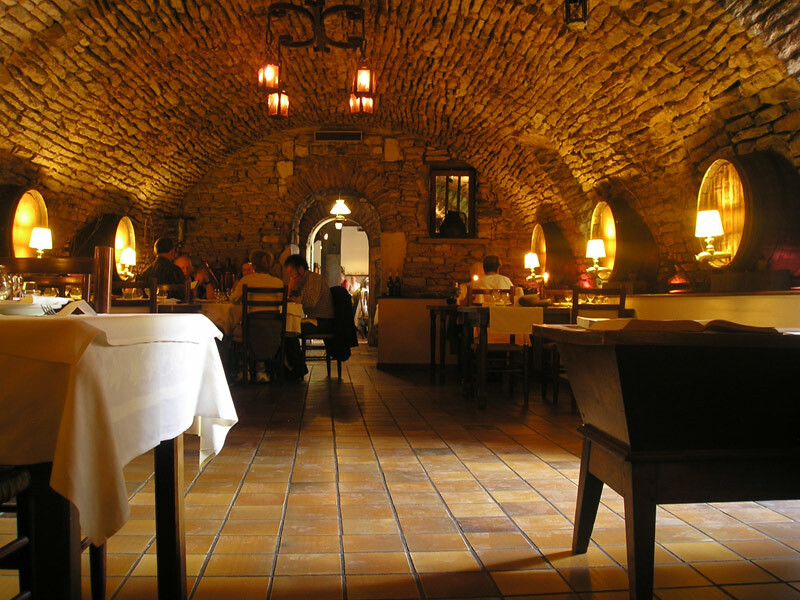 We entered the “Cellier Volnaysien”, which is a vaulted stone walled wine cellar that has been converted in to a restaurant. Max introduced us to the lady of the house Nathalie Pont, a tall and elegant French lady. We didn’t even have to use the menus as Max’s mouth watering description of the dishes left us no choice but to follow his suggestions. What a Meal ! During the meal we were able to pry into Max’s knowledge and asked many questions, the answers were always there and with some surprises, he was always ready to remove or change our prejudgments. With our full and calm stomachs we continued to Mersault and then Chassagne Montrachet. This was to be the highlight of the tour. We were taken into a private house and a huge cellar to be introduced to Laurent. Here we tasted the finest white Chardonnay wines I have had the chance to drink. I will not give you any more information about wine grower in Chassagne Montrachet, as I want this secret to remain so and be sure that some wine remains the next time we visit. The clock told us that it was time to leave Max, but the hours had flown by to quickly, we still wanted more from him. or check out the web site Wine tour in Dijon and Beaune.